There’s A Cork In My Flute. What Does It Do? A common complaint when a flute or piccolo comes in for repair is that “it is just not playing like it used to” or that “it sounds airy”. The first thing we check is the position and the fit of the head joint cork assembly. If it’s not in the right place, or if it’s too loose, the intonation and tone quality of the instrument will be affected. Proper placement of the head joint cork assembly is crucial. Use the following steps to check the placement of your cork assembly. On the end of your cleaning rod, you will notice a line. This is actually a measuring tool to check the placement of your cork assembly. 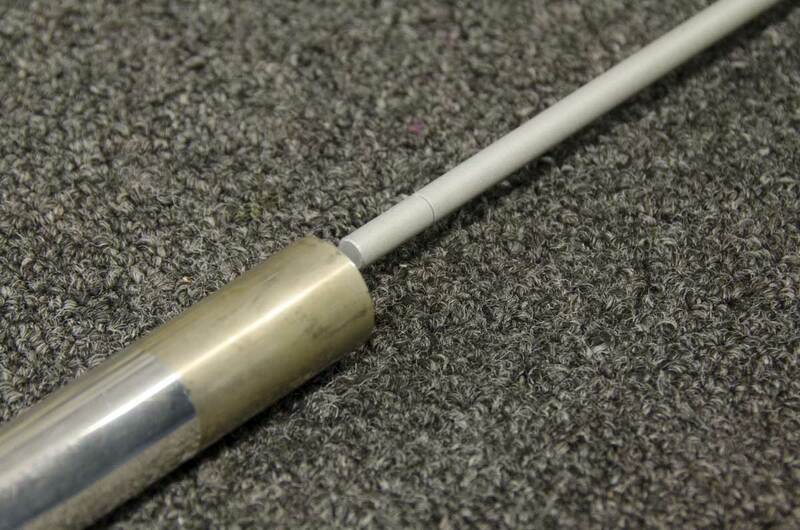 Place that end of the cleaning rod into the open end of your head joint until it makes contact with the head cork plate. 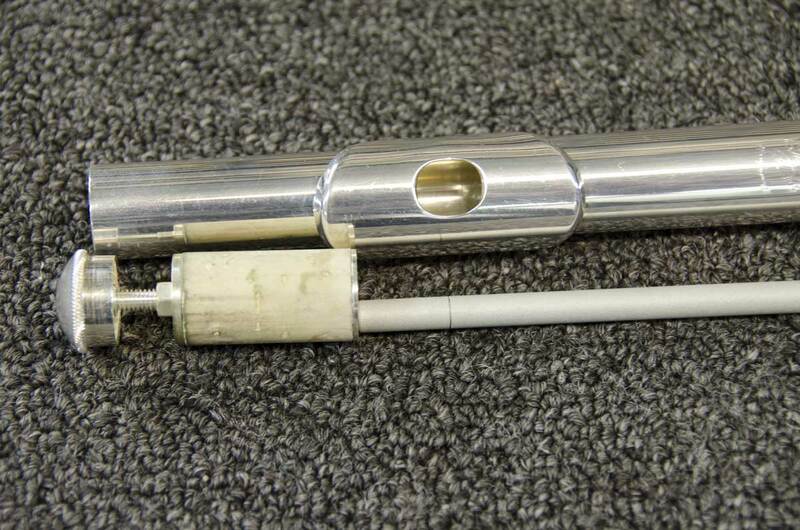 Look into the embouchure hole (blow hole) and locate the line on your cleaning rod. It should be in the center of the embouchure hole. 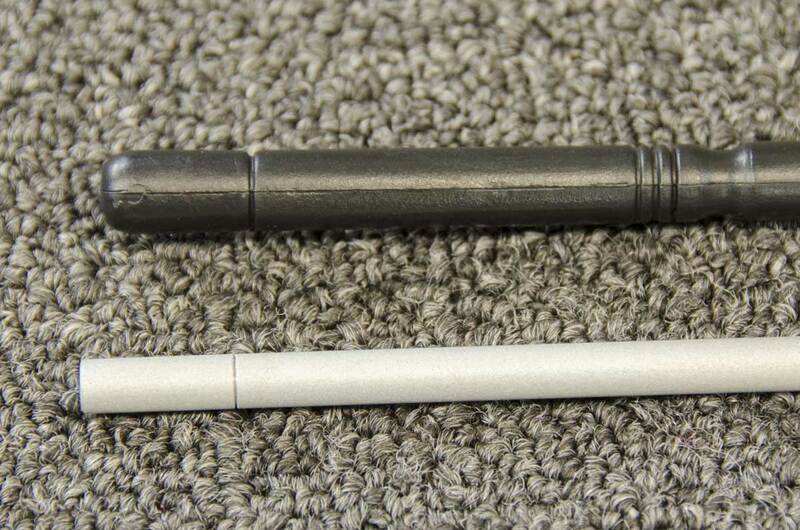 If the mark is down toward the open end of the head joint, you should tighten the head crown to pull the cork assembly back up the tube. If the line is too close to the closed end of the head joint, loosen the crown slightly and push on it to move the cork assembly down. The goal is to get the mark in the center of the embouchure hole. 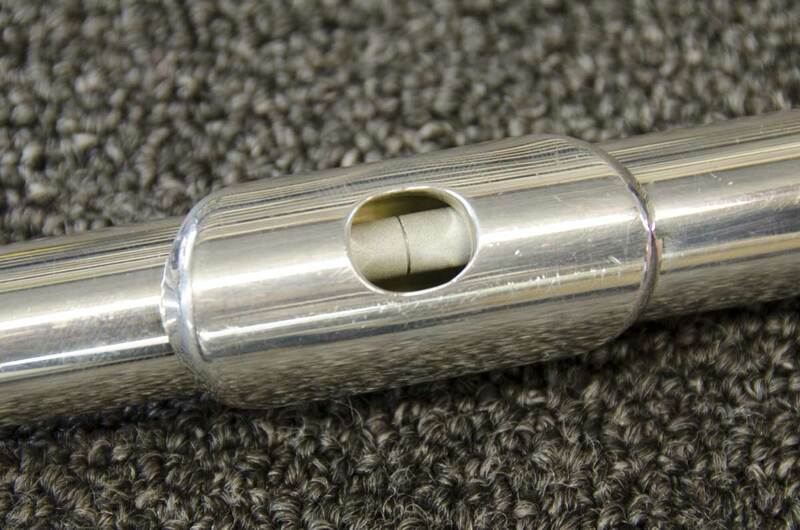 In rare instances, advanced players may find the need to move the cork assembly in order to bring the different registers of their flute in tune with each other. A common mistake young flutists make is moving the cork assembly for general, every day tuning. Instead, for general tuning simply pull the head joint out of the receiver if you’re sharp, or push it in if you’re flat. Don’t make a habit out of moving the head cork assembly. The cork part of the assembly will need to be replaced from time to time. The cork dries out and shrinks causing air to leak around the cork itself causing problems. If you notice that your cork assembly moves too freely, it’s time to have the cork replaced. Thank you Tim, This is very useful information. I didn't know the purpose and function of the cork, or most importantly the correct position for it. Thank you Tim. This has been really helpful.